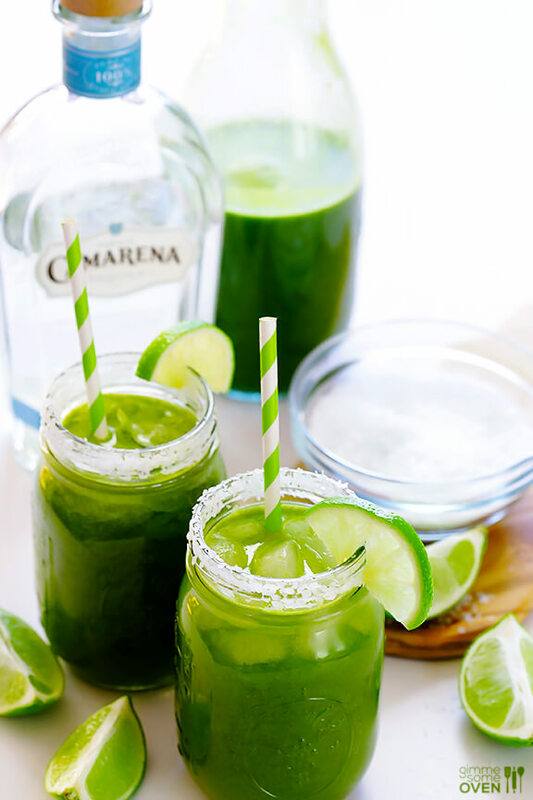 We’re having serious *heart eyes* for this spin on the traditional margarita using green juice. We highly recommend Renew Juicery’s Glow for just the right amount of sweetness. It definitely cancels out the alcohol, right? Stir all ingredients together until blended. Serve over ice in sugar- or salt-rimmed glasses, garnished with lime wedges or slices if desired. Want to add a little spice + mexican flava? Look no further than this cilantro-infused spicy margarita. Cilantro is full of antioxidants, vitamins and minerals - it’s basically a super herb. Not a cilantro fan? Swap in cucumber for a refreshing, light taste. Place the margarita mix and cilantro leaves in a large mason jar (or a mixing bowl), cover and let it steep for 2 hours. Drain and discard the cilantro leaves. If you prefer, moisten the rim of your cocktail glasses with some lime and dip them in a plate of salt. Set them aside. Place the now “infused” margarita mix in a cocktail shaker along with tequila and ice. 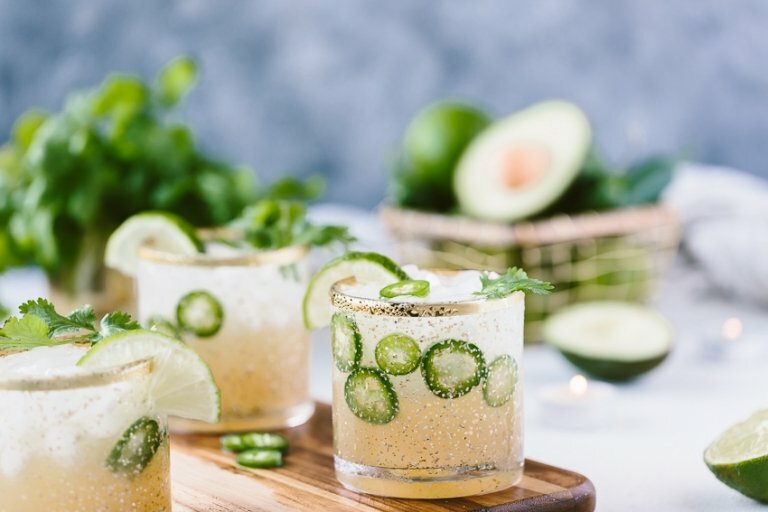 Garnish with a lime, slices of jalapeno pepper, and a few fresh cilantro leaves. Run a lime wedge along the rim of the glass and dip in the salt. Add the kombucha and give a quick stir. Strain into a glass over rocks + garnish with a slice of lime, if desired. Which one is your fave? Share your margarita recipes and tag us @cloverpr so we can digital cheers together as we celebrate. Happy Cinco De Mayo!